Festival founder Daniel Bruce with wife Julianna and daughter Charlotte at the opening reception. 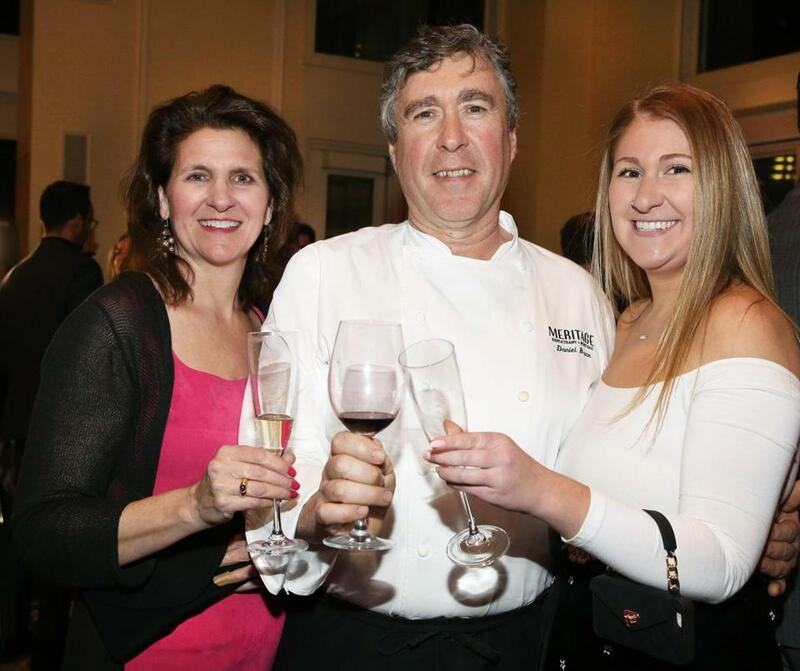 The 30th year of the Boston Wine Festival kicked off with libations and a celebration at the Boston Harbor Hotel over the weekend that drew more than 350 guests. The hotel’s executive chef, Daniel Bruce, who is marking his 30th year there, is the genius behind the food and wine pairings that have made the festival the hotel’s most successful ongoing event. As a way to showcase the wine offerings over the years, Bruce has created more than 4,000 dishes, each one designed to complement the special wine with which it was served. For this year’s opening reception Friday evening, top winemaker Anthony Hamilton Russell and his wife, Olive, traveled from South Africa to debut their newest wine. Guests were able to sample more than 50 wines from a range of vintners and vintages. Festival events run through March 29, and with Valentine’s Day a month away, now is the perfect time to make plans to attend one of the highlights: the Valentine’s Dinner Dance on Feb. 16, complete with champagne, of course. Tickets are available on the festival website, www.bostonwinefestival.net.